As we know, Android L Developer Preview version is currently only available for LG Google Nexus 5 smartphone and Asus Google Nexus 7 tablet devices, And many other users are keen to have the latest version of Google's Android L mobile operating system installed and running on their Android devices. So if you're one of those user who wants to experience the Android L official firmware before the official final released of Android L, then you can Download Free Official Android L Keyboard App .APK File, Android L Themes .APK File and Android L Wallpapers for Phones and Tablets via Direct Links available below. 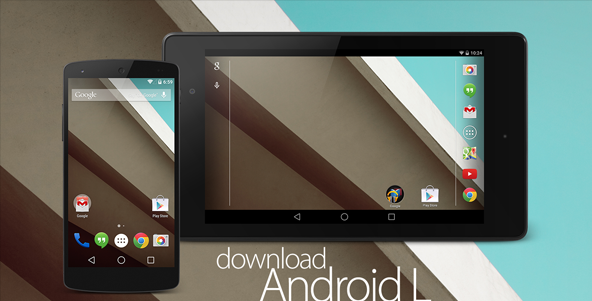 How to Download and Install Android L Themes .APK File Manually? With official Android L Wallpapers and Android L Themes, you can give your Android phone, tablet an Android L look and feel with change in User-Interface (UI) and Layout Design. Android L Theme Package is available for all Android devices running Android 4.0+ (Ice Cream Sandwich (ICS), Android 4.1+ (Jelly Bean) and Android 4.4+ (KitKat) mobile operating system with Xposed Framework Support. 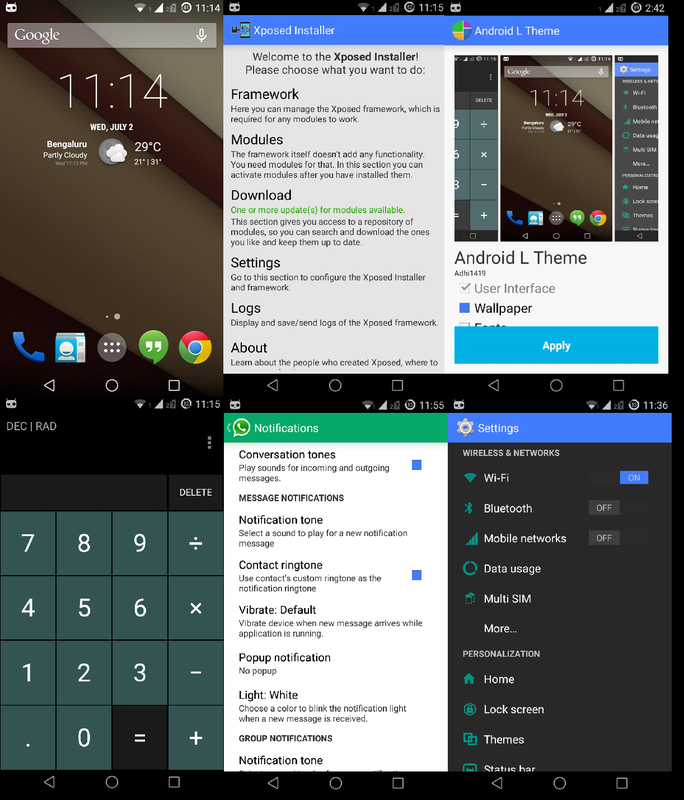 Android L Theme Package includes; Android L Statusbar Icons, Settings, Calculator, Framework, Wallpapers, Boot Animation, Fonts, Ringtones and much more customization and personalization. After download, just move .APK file into your phone memory and run .APK File for manual installation. (If not work, Click Here). 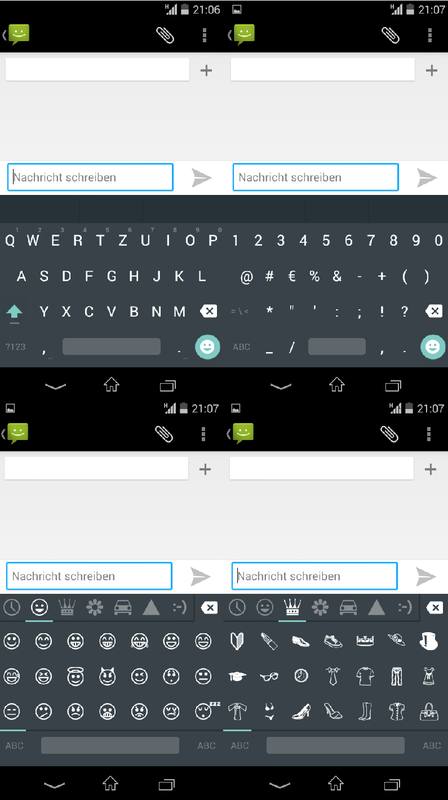 How to Download and Install Android L Keyboard App .APK File Manually? The official Android L Keyboard App (Build: 3.1.20003.1236599-L) a.k.a Google Keyboard v3.1 is available for Android Smartphones and Tablets running Android 4.0+ (Ice Cream Sandwich (ICS), Android 4.1+ (Jelly Bean) and Android 4.4+ (KitKat) mobile operating system. Android L Keyboard can be installed on Unrooted and Rooted Android devices as well. We are providing two separate Android L Keyboard Application installation files, One for Rooted Android Devices, and the second one for Unrooted Android Devices. After download, just move .APK file into your phone memory and run .APK File for manual installation. (If not work, Click Here). Delete / Uninstall third-party Google Keyboard App installed via Google Play Store, not built-in AOSP app version. Android L Keyboard App Flashable .ZIP File can be installed via CWM / TWRP; it will put .APK File into system). Delete / Uninstall Google Keyboard (LatinIMEGoogle) from "/system/app" directory, if present. (If "LatimIMEGoogle.odex" file is present too, Delete it too). Video Tutorial on How to Install Android L Keyboard App .APK File Manually on Phones, Tablets? Android L Keyboard App is compatible and supported with All Android Smartphones and Tablets Running Android 4.0+ Firmware, But Android L Keyboard App had also personally tested on below mentioned Android Rooted / Non-Rooted devices. You can install the app without worry on Any Android Model Version. And Many Others CM10 (.1/.2) ROM's on Different Android Devices, Probably all ROM's based on v4.x.x should work successfully.